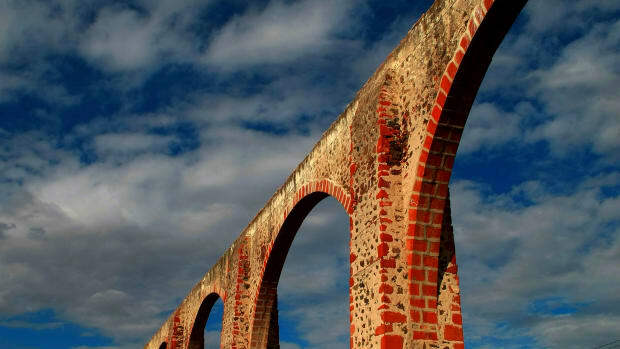 Owing to the region’s rich volcanic soils and strategic location, Náhuatl-speaking Indians once developed a complex civilization in Puebla; today, many monumental ruins can be found throughout the state. Puebla is also the home of Mole Poblano, a traditional Mexican dish. Today, automotive and textile production are Puebla’s main manufacturing industries. Manufacturing constitutes the largest percentage of the economy at about 24 percent. Service-based companies account for 19 percent, followed by trade activities at 18 percent, finance and insurance companies at 18 percent, transportation and communication companies at 8 percent, agriculture and livestock production at 8 percent, construction at 4 percent and mining at 1 percent. Cholula, the most important settlement of ancient Puebla, was established between 800 and 200 B.C. 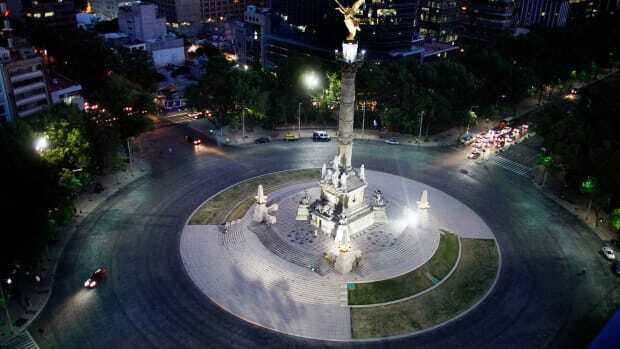 and is considered the oldest continually inhabited city in Mexico. By 100 B.C., the Olmecs had developed Cholula into one of Mexico’s most active cities. During that period they began building the immense monument known as the Great Pyramid of Cholula. One of the largest pyramids in the world, it stands 55 meters (181 feet) tall with a base that measures over 396 meters (1,300 feet) on each side. Similar to the fate of Teotihuacán to the northwest, Cholula was mostly abandoned around 800 A.D. for unknown reasons. Did you know? The Cinco de Mayo holiday has its roots in Puebla. In 1862, France invaded Mexico, planning to make it part of the French Empire. Outnumbered Mexican forces met the French at Puebla and managed to defeat the overconfident French army. In the 10th century, Cholula was taken over by the Putún Maya, also known as Olmeca-Xicalanca. 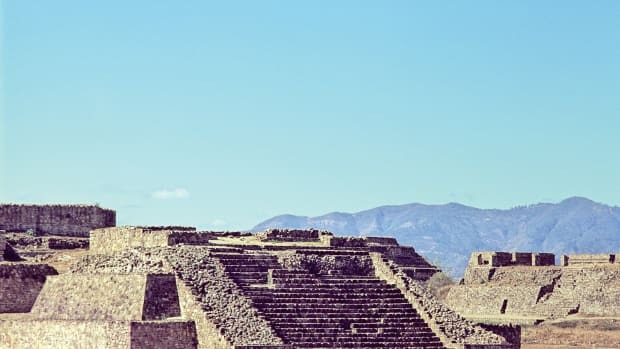 During the 12th century, a Toltec-Chichimec tribe settled in the area, and in 1292 Nahuatl-speaking tribes, including remnants of the Toltec nation, successfully invaded Cholula. 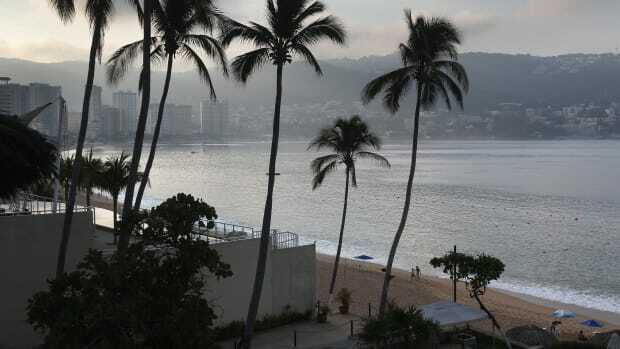 They, in turn, were conquered by Huexotzingo Indians in 1359. 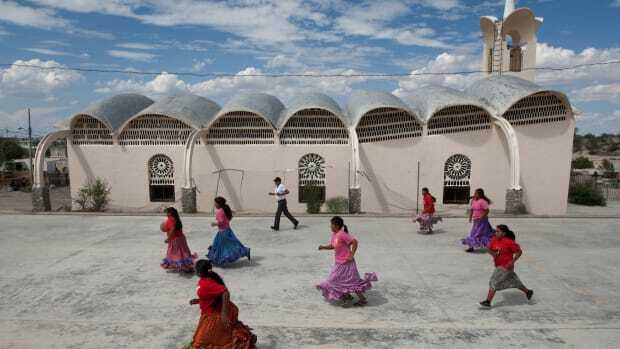 During the 15th century, the Mexicas, or Aztecs, rose to power in central Mexico. The people of Cholula, forced to choose between resisting the Aztecs or joining them, opted for the latter. Thirty kilometers (19 miles) to the north, however, the city of Tlaxcala stood firm against the Aztecs, intensifying its rivalry with neighboring Cholula. Spanish conquistador Hernán Cortés occupied the Puebla region in 1519, killing most of the natives and precipitating the fall of the Aztec empire. In 1524, the Spanish crown gave the conquistadors grants known as encomiendas, which authorized them to force area natives into servitude. As a result, the indigenous peoples were put to work in agriculture and mining for the benefit of Spain. 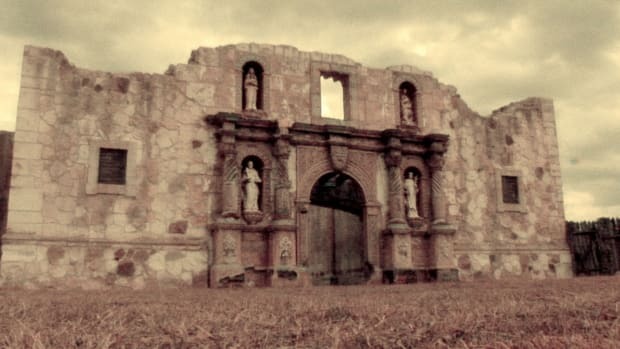 One requirement of the encomienda system was the propagation of the Roman Catholic faith, so Franciscan priests arrived to convert the native population. Throughout the post-conquest period, the Spaniards razed Cholula’s many temples and replaced them with churches. 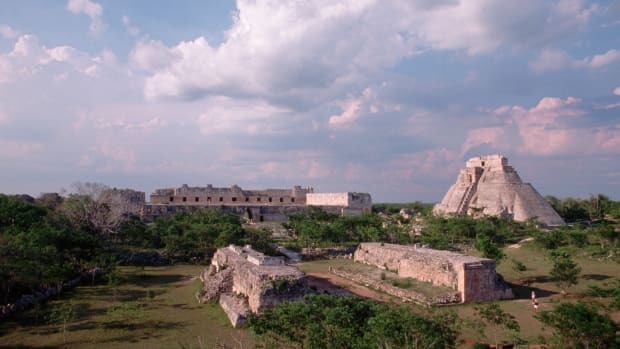 However, rather than modernizing the ancient city, they chose to build in a different location, about 15 kilometers (nine miles) to the east. The new city of Puebla thus became the first Spanish-built city in central Mexico not founded on the ruins of a conquered settlement. 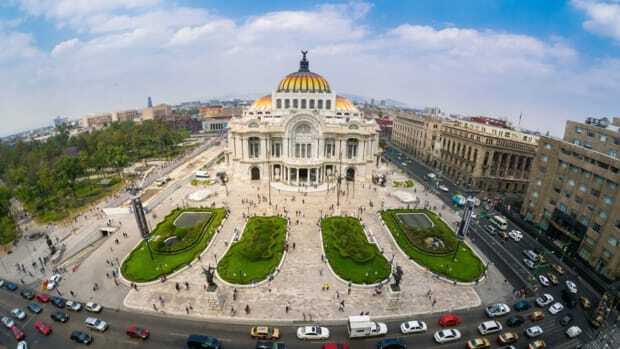 Due to its convenient location halfway between Veracruz and Mexico City, Puebla became a frequent stop for travelers and its population quickly grew. Puebla increased in importance as a center for industry and agriculture during the 17th century. Diseases spread by the Spaniards and poor living conditions, however, caused a major decline in the indigenous population. 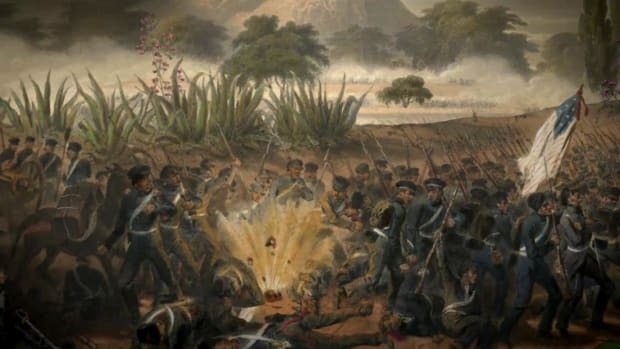 The Mexican War of Independence (1810-1821) was waged in many individual battles throughout central Mexico. Former priest José Morelos led successful military campaigns that reached into the vicinity of Puebla. Eleven years after the insurrection began, Agustín de Itúrbide marched his army into Puebla and declared Mexico to be an independent country. From the late 1820s until 1867, Puebla was plagued by political unrest. As the country grappled with self-government, control of the state was contested by many political movements–federalists and capitalists as well as liberals and conservatives. In 1861, Mexico suspended payments on its debts, angering other countries and opening the door for France to invade in 1862. Mexican patriots loyal to constitutional president Benito Juárez managed to defeat a superior French force at the Battle of Puebla on May 5, 1862. Despite this early setback, the French eventually emerged victorious and ruled Mexico for the next five years. Porfirio Díaz played a prominent role in the military campaigns that finally drove the French out of Mexico, launching a political career that spanned from 1870 to 1911. During his presidency, Díaz focused on improving the country’s railroads and telegraphs; as a result, Puebla enjoyed strong economic growth. 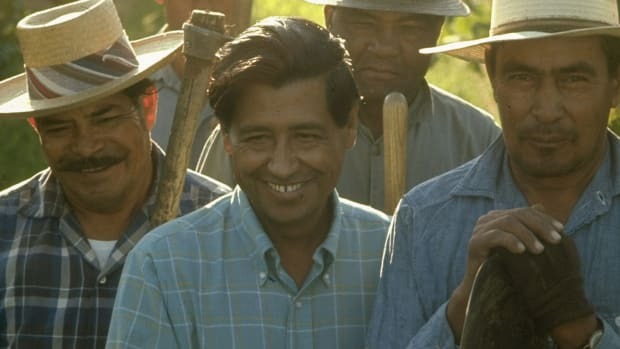 The Díaz era came to an end with the Mexican Revolution, which began in 1910. Emiliano Zapata and Francisco “Pancho” Villa fought for a radical agenda of land redistribution and peasants’ rights. They succeeded in overthrowing Díaz, but later they were defeated by forces favoring more gradual change. After the Mexican Revolution, Puebla evolved into an industrialized center; however, due to its predominantly rural population, it remained largely impoverished. 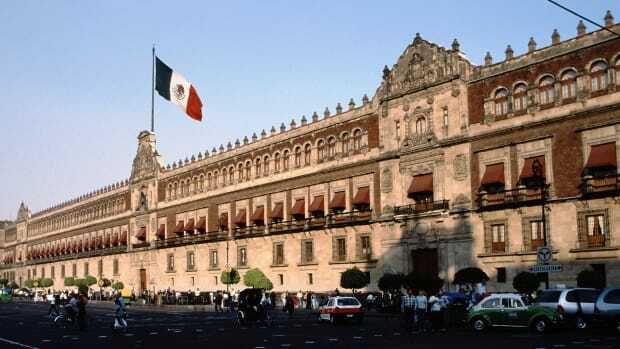 In the late 19th and early 20th centuries many European immigrants moved to Puebla; their influence can still be seen in the city’s architecture. Many of the rich traditions of Puebla involve food and art. Mole poblano, a spicy sauce, was developed around the 17th century and is still enjoyed today. Puebla is also well known for its Talavera ceramics, which are crafted using the same techniques introduced by the Spaniards in the 16th century. The Cinco de Mayo holiday has its roots in Puebla. In 1862, France invaded Mexico, planning to make it part of the French Empire. Outnumbered Mexican forces met the French at Puebla and managed to defeat the overconfident French army. The victory was short-lived, however, since the French subsequently conquered Mexico, remaining in power until 1867. Even so, the victory at Puebla is widely remembered and enthusiastically celebrated each year in the state. The Great Pyramid of Cholula, one of the world’s largest pyramids, is located in Puebla. 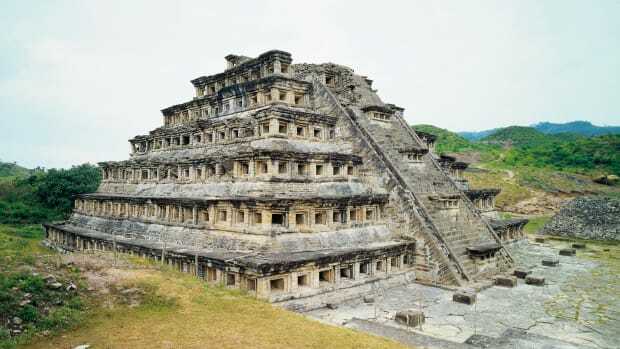 It was built by the Aztecs to honor the god of rain. 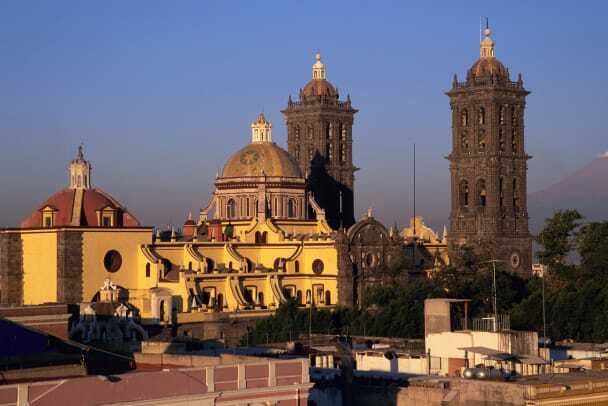 Puebla, one of Mexico’s oldest and most famous cities, is the fourth largest in the country. Puebla’s culinary tradition, known as Cocina Poblana, is popular throughout Mexico. A distinctive feature of the region’s cooking is mole, a rich, spicy sauce containing chocolate, cinnamon and nuts as well as different types of hot peppers. Served with chicken, mole is the most renowned of Puebla’s dishes. 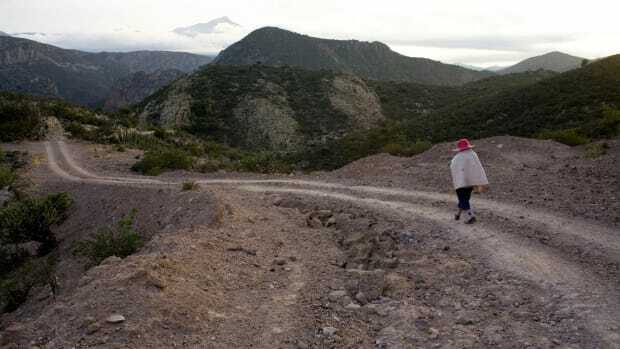 Cuexcomate, regarded by many as the smallest volcano in the world, stands in the heart of the city of Puebla. The cone rises 13 meters (43 feet) and has a diameter of 23 meters (75 feet). It was formed in 1664 by the eruption of Popocatépetl, a much larger volcano. Puebla is home to the first public library in the Americas, the Biblioteca Palafoxiana, which is the only remaining library from the Spanish Colonial period. The city of Puebla was the epicenter of two large earthquakes in 1973 and 1999, the latter registering 6.7 on the Richter scale. Cholula is home to many Aztec ruins, most notably Mexico’s largest pyramid, which also happens to be one of the biggest monuments in the world. This magnificent structure was built to venerate the god of the rain, Chiconahui Quiahuitl. Soil and vegetation now cover much of the pyramid, giving it the appearance of a large hill, but some portions have been excavated to reveal its former glory. The buildings of Puebla provide impressive examples of Baroque architecture. The towers of Catedral Basílica de Puebla, located in the city’s main square, are the highest in Mexico. The Iglesia de Santo Domingo-Capilla del Rosario features ornate stonework and gilded plaster. Other religious buildings in Puebla are the Templo de San Francisco and the Templo de Santo Domingo, which were built during the 16th and 17th centuries. Military installations include the 19th-century forts of Loreto and Guadalupe, which wasS erected on a hill to provide a strategic overview of the city.